A strong logo and clear branding is essential for any aspect of business, but nowhere is it more important than on your website. Without you there in person to sell your products, you are relying on your branding to do the talking. A strong logo will catch the eye – helping a website appear professional and trustworthy, while clear branding throughout will enhance a customer’s experience as they explore your site. Think carefully about layout and how you present your products. Keeping this look consistent throughout makes for a smoother transition and will tie your content together. All of this acts as a trust signal in the customer’s mind. 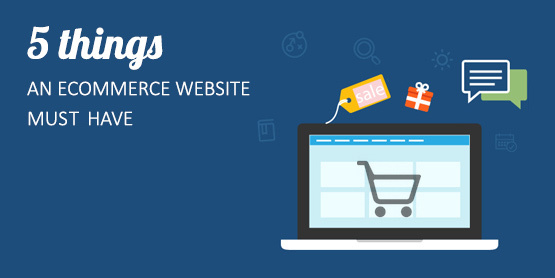 Most good web shop platforms now come with shopping cart functionality, but making sure your cart is clear and easy to use will make the shopping process so much easier for your customers. This is part of the process that should not be ignored; just because they’ve found the products in your beautifully laid out store, doesn’t mean that the routine should stop there. Poor shopping carts and payment transitions are a key reason for cart abandonment, with the first step of the checkout process being one of the most common places for customer drop outs. Currently, abandonment rates are around 68 per cent according to Baymard, but don’t despair, as you can work to bring this percentage down. Clunky checkouts, poorly designed pages and long processes can all play a part in this, so remove anything that fits this bill as soon as possible. Ensure to keep a clean branding throughout the process so that it matches the rest of your site. If a cart looks or behaves differently to the rest of the site it will cause disconnect in the customer’s mind. Another good idea is providing an indicator to help guide them through the funnel, this way a customer won’t feel that a process is needlessly long or complicated and will be able to see how close to the finish line they are. Trust signals are things that either consciously or sub consciously encourage your customer to feel comfortable purchasing from your site. This can cover a huge array of things, but at a basic level important things to include are social media links and payment system icons. If you are accredited by any official bodies then including these is a must, as they will act as really strong trust signals. The more of these you can include, the better. Another way of promoting your authority and quality is with customer reviews. These can appear with the individual product or on the front page, to draw attention. Adding star ratings will further emphasise this and will act as an easy visual signal. Make it as easy as possible for customers to contact you with questions about your products. Including contact details in an easy to find place on your site is essential. This may sound a bit daft but you’ll be surprised the number of ecommerce sites that don’t include a way for their customers to get in touch, or alternatively they bury them in a hard to find location somewhere on the site. Including contact details has a duel function. Not only does it mean you are improving the customer experience by making it easy for them to get in touch if they have queries, contact details such as a phone number or address can also act as an important trust signal, not only with consumers but search engines as well. Although it will leave you open to sales calls, publishing a phone number – ideally a landline number – is really important. Showing your address, whether as a location that can be visited or just for mailing is also key. This is because physicality is important, so showing you actually exist in these ways instantly adds trust. A Secure Sockets Layer – or SSL – certificate is a small data file that encrypts and protects data on a site. It also authenticates your website, reassuring a buyer that their information will be safe. While not a legal requirement, it’s a really good idea to have one on your site if you transmit any kind of personal information, for example collecting a customer’s billing details or address. An SSL will keep these details safe and secure, and shows that you care about your customers. Taking steps to protect your site and those using it will encourage people to shop with you. In addition, it will benefit your site as SSLs allow for better tracking in Google Analytics – and therefore improved reporting. An SSL will show up as an https URL and, when in Google Chrome, the URL will appear green, signalling to the customer a secure and therefore trustworthy site. Of course, there is more to running a successful online business than just these points, but here are five key elements; a good place from which to build. Other important features for a website are strong Calls to Action to encourage customers to click, good product photography and informative descriptions. Offering regular deals and following up with drip feed emails will also play a role in ensuring your ecommerce site keeps customers coming back. If you want to sell online but don’t know where to begin, why not take a look at our strategy for launching a new online store? We can also help established stores to convert more effectively. Whatever you need, let us know your requirements and we’ll do our best to help. SSL is something that many retailers don’t invest in because they use third party payment platforms, which are SSL (like PayPal), but there are other benefits of having an SSL site anyway, especially since Google is favouring its use.